Original Owner — Kimmel, W. A. 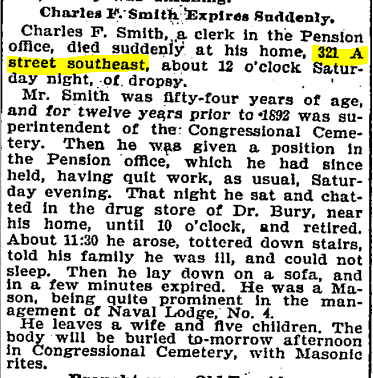 Architect — Smith, Delos H.
Builder — Smith, Delos H.
“In the World of Society.” Washington Evening Star, 15 April 1912, p. 7. “Real Estate Transfer.” Washington Evening Star, 23 November 1903, p. 3. 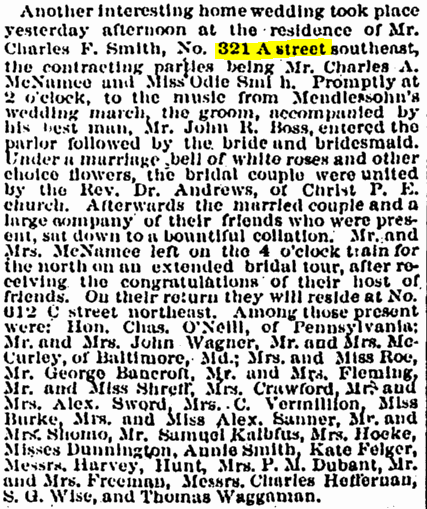 “Society Notes.” Washington Evening Star, 17 December 1885, p. 1. 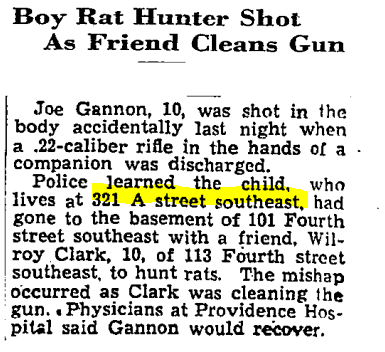 Washington Post, 22 August 1935, p. 12. 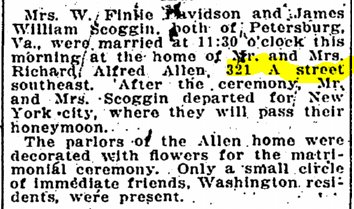 Washington Post, 29 March 1915, p. 3.